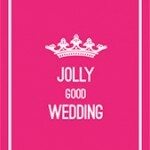 Jolly Good Weddings – Wedding planning, venue styling, table plans and vintage crockery. A country house retreat with luxury boutique accommodation and so much more! See their website for more details of what this fantastic venue has to offer. 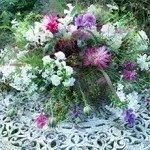 Creating beautiful wedding arrangements from fresh, natural, english flowers. From simple country weddings to grand extravaganzas, Caroline will create beautiful flower arrangements for you. 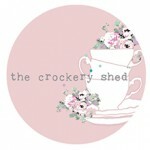 The Crockery Shed provides a unique hire service of vintage crockery, props and accessories for every occasion. 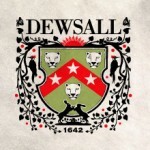 They have a stunning collection of beautiful wares to hire. 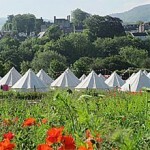 Why not hire an enchanted encampment for your guests. 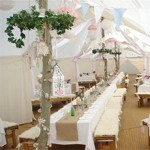 Blue bell tents make elegant additions to weddings and provide convenient accommodation for guests. 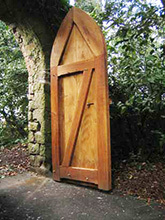 An extremely talented carpenter and furniture maker with a background in fine art and sculpture. Dominic made the 35ft and 10ft diameter wheels for our 60ft yurt and did an absolutely fantastic job! Tent/marquee hire for your special occasion, including a fantastic array of furnishings and décor. Fred's mobile yurt village can accommodate 50 + people to sleep in yurts with a wide range of furniture. 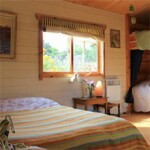 Complete with comfy beds, lockable doors, perfect accommodation for your guests. A creative, eclectic and colourful range of accommodation on offer in this magical spot. Nestled quietly in the rolling Worcestershire hills, this is a place of true retreat in it's most beautiful form. Our most local venue! This wonderful family home is available to hire for a variety of events and a limited number of weddings each year. 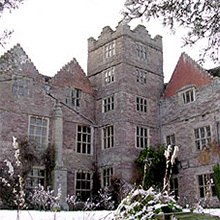 It is also open for tours throughout part of the summer. 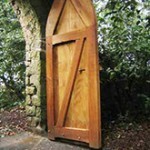 To find out about having your yurt wedding here please contact us.